I found this post about Blue Ray Lightworkers on Facebook this morning and was guided by Spirit to share it. Yesterday I had two readings in the Akashic Records for two very dear friends. Some of this exact information was shared with them. I just LOVE this kind of synchronistic confirmation!!! Are You A Blue Ray? You’ve heard of Indigo and Crystal Children, but what about the ones who came before them? The Blue Ray Beings are an ultra sensitive empathic soul group like the Indigos that came from many different ascended planets and light realms to enlighten the genetic code of humanity and raise the God consciousness on Gaia. They are the lost ray of the Light Worker. Attention: If you would like to add this information to your page, website or other, you are welcome to do so as it helps other lightworkers, but please put in the proper author credit and my website link, thank you!!! As a Blue Ray Being, you came to transform the damaged, mutated DNA of humanity, and set the stage for the other rays to come. You were not recognized for your unique divine light and had to recognize yourselves. It was tricky spiritual business as you were super sensitive beings, though you had the spiritual power tools to be victories in your mission. For the last 100 years the Indigos, Rainbows, Crystals and you, the Blue Rays, have been incarnating to create a vibrational shift to the higher dimensions. You the Blue Ray Beings are the overlooked and forgotten ones, and have been essential in clearing and setting the stage for humanities ascension. Because of you, Blue Ray Beings, earth will be able to take her rightful place in the galactic and universal councils of oneness and peace. We Wish to ‘Thank you’, from the ones that can’t articulate your divine presence, all of humanity, your star sisters and brothers of light and the sacred higher realms. We are in constant praise and support of you! Remember! Blue Ray, there is much more coming for you, for your time has come. Infiltrate the system in a normal capacity, always remembering who you are and where you came from, planting the seeds of peace, love, light and higher awareness. No matter how painful, long or arduous the job was, it was your mission and you had the spiritual tools, insight and divine light to see it through. · ‘Transformers’, using alchemy you naturally transmute lower energies. · Tend to be water and air signs: Pisces, Scorpio, Cancer, Gemini, Aquarius, and Libra with Virgo influences. · Have similarities with the Indigo, Crystals and Rainbows Beings. Ultra sensitive, intuitive, can easily communicate with the higher realms. You have sacred knowledge and wisdom. · Often mistaken for an Indigo. · Very adaptable and empathic. · Blues are more reserved and quieter than the indigos and seem mystical in the way they look. Old souls may appear to be more ethereal looking or star born. · You are about communication and expression through the creative arts and spirit. It is very important for you to express yourself. It’s part of you mission. · May have taken many years for you to be able to speak up and be seen. · Have blue in your aura or have lots of blue around you. You will also have violet to help with transmuting lower density. · Most are energy or spiritual healers as you wish to heal and help others. · Are water types. Flowing, emotional, not static and associated with the divine feminine traits and archetype. Music, sound, movement, dance and nature is very important to you. · Learned how to hide your supernatural abilities and gifts, stood in the background waiting, watching, observing and always in the knowing. · The Waiting, Star Seed Time Line Encodement, the blues have been preparing for when events and an inner knowing will activate you to reset your course to take a higher path. This activation will attuned you to your core essence and will affect your career, hobbies, goals and relationships. · Most of you were not born to enlightened consciousness spiritual parents. You had to heal and transform much family, genetic damage, emotional trauma and dysfunction first. · Feel connected to the terms Light Worker, Star Born and to Pleiades, Sirius and to the esoteric studies and the evolved races of earth. Are more energetic aligned to Lemurians then to the Atlantians. · Have amazing latent spiritual gifts and talent that are not fully activated. · Feel out of out place in your family, feel your biological family is not your true origin. Feel you are from the stars, another planet or evolved race. · Are the peacemakers with your family and with friends. · Have great inner long-term persistence. You get to your destination. · Very sensitive to foods, chemicals, the environment, noise and electricity. · Need to drink lots of spring water that still has the life force in it, and be connected to the deva of water. · Escape tendencies, being in the other realms or being alone to much, feeling lonely and different. · Addictions or addictive tendency in earlier years. · Chronic fatigue from always transforming energies or leaving the body to often and to long. · Difficulty and frustration in communicating. · Were told: You were different. You’re just imaging things. Get real. · Can have entities, spirit attachments and negative thought forms come to you, because the Blue Ray transforms and shows them the light. · Had genetic damage to transform. · Are very adaptable and empathic, and therefore can stay in a dysfunction relationship, situation or environment to long. · Need to maintain energetic boundaries and awareness and learn how to stay connected in the body. 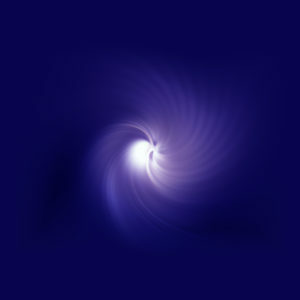 Click here for Blue Ray Core Essence Reconnection or Blue Ray Divine Alignment & Healing. Shekina is Divine Messenger for Mother Goddess and the Angelic Star Tribes in the ‘Language of Light’, transmissions that activate your ‘Divine Original Blue Print’. She works with the Blue Ray and ultra sensitive beings in clearing and balancing their energetic field that aligns them to their divine power. Shekina has a special gift of opening to the higher realms and transmuting negative blocked energy instantly, many have experiences this at her “Concerts of Souls” and performances in the” Language of Light”. She is also a artist, visionary, spiritual performer, Priestess of the Light teacher, energy and sound healer, founder of the Goddess Code Point Activation and 13 Gateways. ← Whose Valentine Are You?